고려 중기의 문신인 윤관(?∼1111)의 무덤이다. 그는 고려 문종(재위 1046∼1083) 때 문과에 합격하였고, 숙종 9년(1104)에 ‘동북면행영병마도통(東北面行營兵馬都統)’이 되어 국경을 침입한 여진과 싸웠으나 패하였다. 그 후 여진정벌을 위해 별무반을 편성해 예종 2년(1107)에 여진을 정벌한 후 9성을 쌓았다. 윤관의 무덤은 어디에 있는지 명확히 알 수 없었으나, 조선 영조 23년(1747) 후손들이 지금의 자리임을 주장하여 영조 40년(1764)에 공인되었다. 윤관 장군묘 주변에는 후대에 세워진 비석과 석등이 있다. 위패는 예종의 사당에 함께 모셔졌고, 고려 태조와 충의공신을 모신 숭의전에서 함께 배향되었다. It is the tomb of Civil Minister Yun Gwan (? ~ 1111) in the mid-Goryeo period. 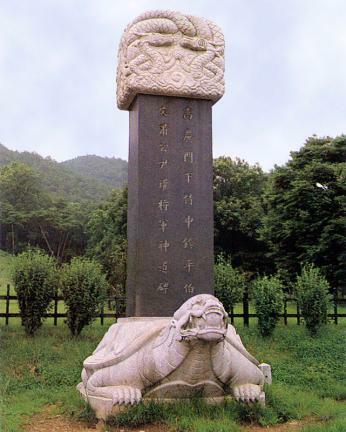 He passed the administrative exam during the reign of King Munjong in Goryeo (1046-1083) and got dispatched as military governor of the east-north area in 1104, the 9th year of the reign of King Sukjong in Goryeo. He joined a combat against the Yeojin Tribe, which invaded the frontier, but got defeated. 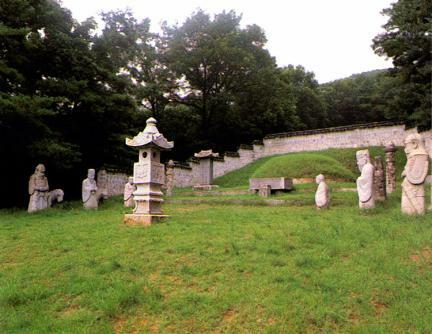 After this combat, he organized extraordinary military corps to subjugate the Yeojin Tribe and built nine fortresses in 1107, the 2nd year of the reign of King Yejong after conquering Yeojin. 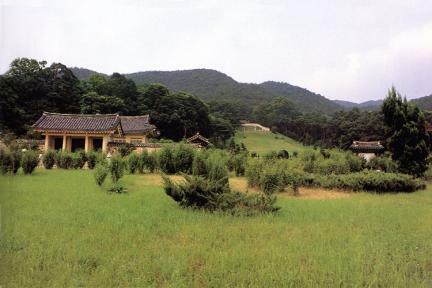 He returned these fortresses to the Yeojin Tribe on condition that they would not betray Goryeo for good and offer a tribute. 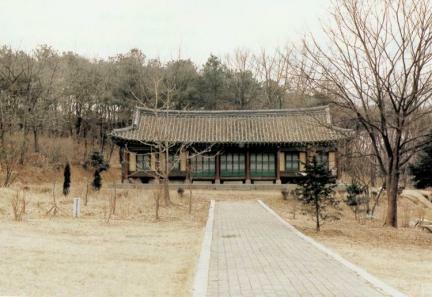 It has not been clear where the tomb of Yun Gwan was located, but his descendants maintained in 1747, the 23rd year of the reign of King Yeongjo, that it was the place where the tomb of Yun Gwan had been located. 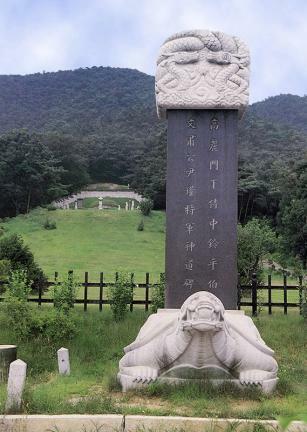 It was also acknowledged in 1764, the 40th year of the reign of King Yeongjo. 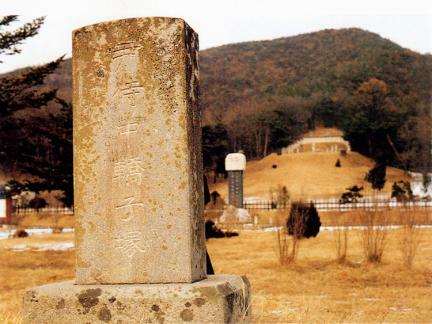 There are a tombstone and a stone lamp built around the tomb of General Yun Gwan after that time. 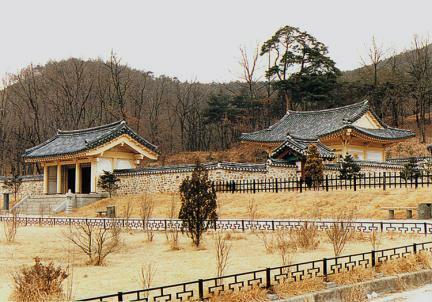 The memorial tablet was kept in the shrine of King Yejong, and a memorial service for him was held at Sunguijeon Hall where a memorial service for King Taejo in Goryeo and meritorious and faithful retainers was held.